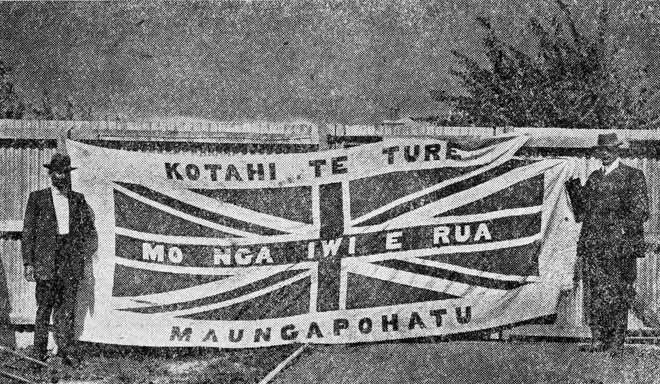 The text on this Union Jack says 'Kotahi te ture mo nga iwi e rua, Maungapohatu'. (There is one law for both peoples, Maungapōhatu). The flag belonged to the Tūhoe prophet Rua Kēnana and was taken by the police from his community at Maungapōhatu in the Urewera during a raid in 1916.